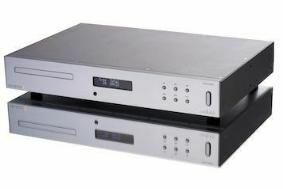 Audiolab's first new-gen CD players complete with USB inputs | What Hi-Fi? The USB link is also asynchronous, with the data regulated by the player's master clock rather than the computer's, to minimise jitter. In addition the Audiolab remote can also control the media player on the connected computer via USB, and the driverless design means this will work with both PCs and Macs, and all media players including iTunes and Windows Media Player. Four digital filter settings are also provided: Slow Roll-Off gives a smoother sound and Fast Roll-Off a crisper response, while Optimal Spectrum gives a flat response (so the player will measure well!) and Optimal Transient enhances pace and flow. The company says filter upgrades will be available for download, and installation via the USB socket, in the future. Both players also have a balanced Class A output stage, and connect via single-ended RCA phonos or balanced XLR outputs, while the 8200CDQ will have a fully-balanced preamp stage, adding three line-level inputs, and give the user the choice of preamplifying the digital inputs in either the digital or analogue domain. The 8200CDQ also has a direct coupled Class A headphone amplifier. The new players have been developed by a design team led by John Westlake, who has worked with companies including Bose, Cambridge Audio, Logitech and Pink Triangle, and whose research is also used by leading component manufacturers including Zetex Semiconductors and Wolfson Microelectronics. We'll be testing the Audiolab 8200CD in our October issue, on sale August 24.